Contemporary frosted plastic memo box with approx. 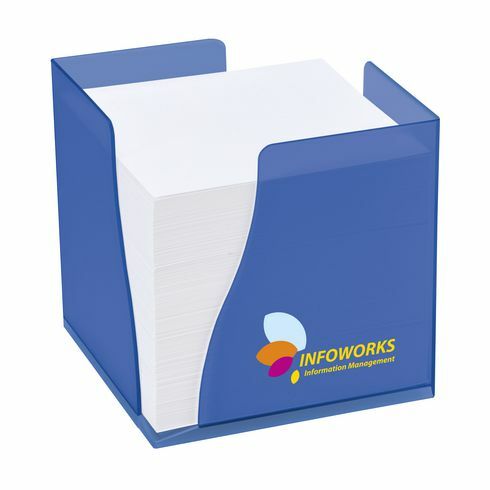 820 sheets of white wood-free note paper (chlorine free). Each piece sealed.